Perfect comfort food! 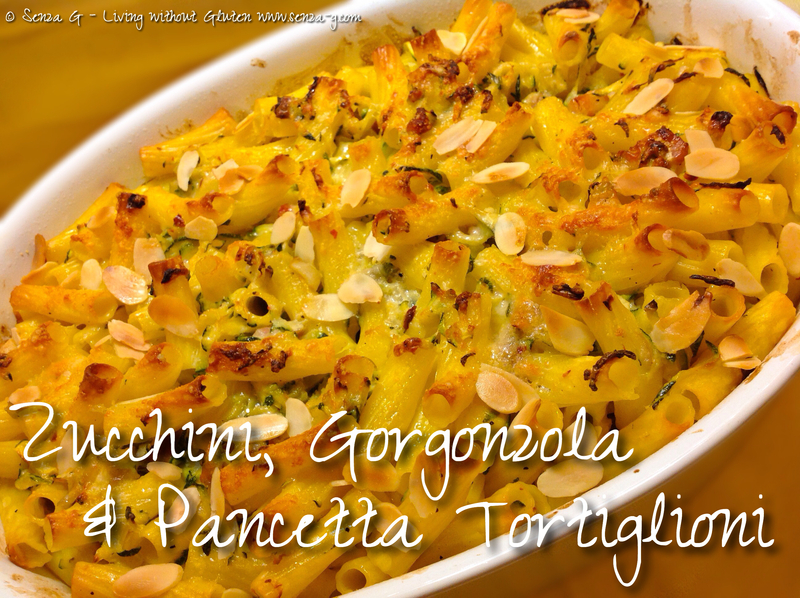 Nothing better than a deliciously cheesy baked pasta! You can opt for a milder blue cheese, like the Dolcelatte which is also known as the Gorgonzola Dolce if you find other Blue Cheese too strong. But it is this type of cheese that makes a difference in this dish! Grate the zucchini coarsely. Set aside. Heat a little olive oil in a pan and sauté the onion until translucent. Add the pancetta, followed by the minced garlic and cook for a further few minutes. Pour in the white wine and the gluten free stock powder and cook for another minute. Pour in the fresh cream and the chopped Gorgonzola, cooking until the cheese melts. Add the grated zucchini, combining it with the sauce and then add the Parmesan, a dash of nutmeg and season with salt and pepper. Take off the heat and set aside. Boil the pasta but leave very firm. Drain and add the pasta to the Gorgonzola and zucchini sauce. Combine gently as gluten free pasta breaks easily. Pour this into a greased oven proof dish and sprinkle the top with more freshly grated Parmesan and some flaked almonds. Bake in a preheated oven at 150 C until the top starts browning.